The Young Jammers program is returning to the original format that was started in 2004 with the pioneer program coordinator, Lloyd Holdeman. Weekly free classes will begin happening soon for kids to get together and jam. This is about young folks making music with their friends. We have not established the weeknight or location yet, but the sessions will last for an hour. Parents will be required to provide transportation and to remain on site while the Jammers participate. The first thing we need are Jammers. Young folks ages of 9-15 (or a little older or younger) will start by earning an “admissions pass”. They get this by strumming the I, IV, V cords on a ukulele in the keys of G, D and A. We will provide the uke, show the potential music maker how to make the cords, and when they can make the cord changes smoothly – they are in. Once in, the Jammer can pick an instrument from the YJ stock – a guitar, a fiddle, a mandolin or a banjo. Beginning and intermediate lessons on these instruments will be given on a weekly basis by volunteer FFOTM instructors. Towards the end of every session, we will play and sing tunes from the bountiful heritage of Traditional music. We gladly accept instrument donations. What we need first is more ukuleles. Contact admin@ffotm.org if you have a donation. For more information and to sign up for the program contact Lloyd Holdeman: Lloydflagstaff22@gmail.com. FFOTM members wanted to provide opportunities for the youth of our community to learn to play a musical instrument to enrich their lives, and allow local musicians and FFOTM members to share their passion for music, passing on their joy of traditional music to a new generation. The program was started by long-time FFOTM members Lloyd Holderman & Christina Boyd in 2004. They held weekly free classes for kids ages 8-18 to get together and jam. Terry Alan & his wife Bonnie Dumdei of Flagstaff School of Music took over in 2012 leading classes and presenting the Young Jammers in public performances. This is the basis of our music education, by putting what the students have learned into practice and sharing it with the community in which they dwell. 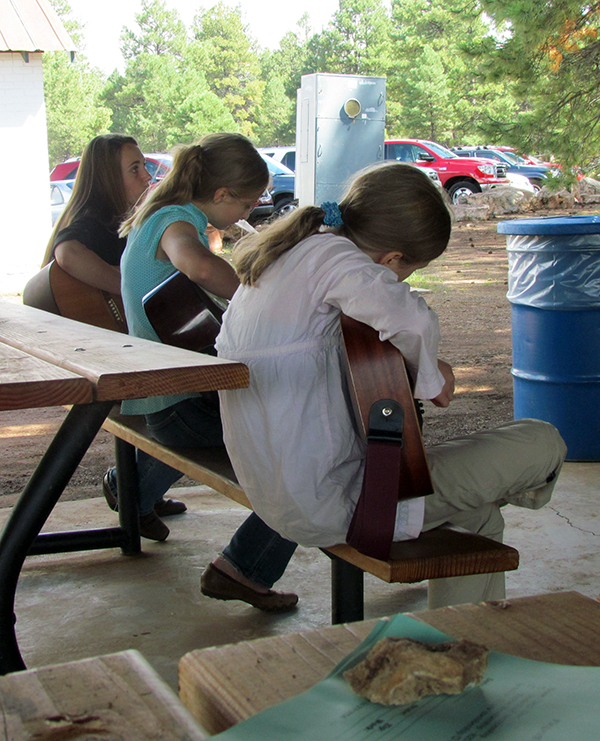 In 2013, the JAMMERS had a demonstration workshop & performance at Flagstaff Folk Festival, Pickin’ in the Pines, Heritage Square, Bookman’s and Flagstaff School and Music. They also opened up for IBMA Winner, Claire Lynch & her band and Beppe Gambetta & Peter Ostroushko. 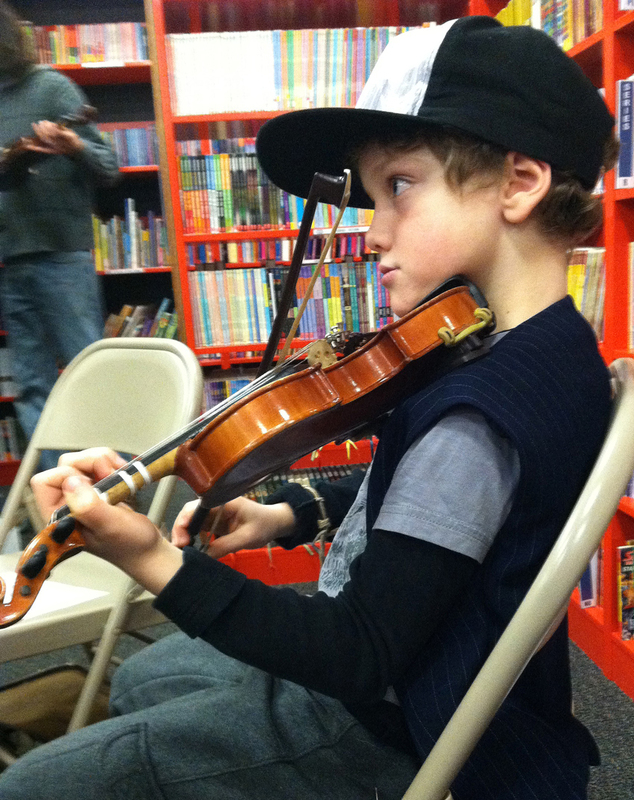 In 2014 the Young Jammers hosted monthly free workshops at Bookmans focusing on different instruments with different instructors each month, inviting jammers of all ages for great family jamming events. From 2015 to 2016, John Borham became the new director of the Young Jammers Program. Lessons took place at Flagstaff Arts and Leadership Academy, and the Steep Canyon Rangers even took a break from their busy tour to join us for a lesson and performance. In 2017, the program changed into a scholarship program. Busy students could apply for a 3 month scholarship and take lessons with the teacher of their choice at a time that fit into their schedule. The FFOTM Young Jammers program provides this opportunity for young people between the ages of 8 and 18 to acquire and learn to play a musical instrument. No experience is necessary. The program provides instruments available on loan for those who need them. Everything is free, and students may apply for scholarships through FFOTM. The Young Jammers program encourages local citizens who may have old or unused musical stringed instruments (fiddles, banjos, guitars, basses, mandolin, or dulcimers) sitting in their closets or attics to dig them out and donate them. These instruments will be distributed to youth between the ages of 8 and 18 who want to learn to play music and jam. Current instrument owners are asked to donate their old or used instruments to the cause of inspiring and nurturing the musical talent of our youth. Instruments in good condition will be picked up. Please email admin@ffotm.org to make arrangements. If an instrument has a unique history or story associated with it, please include a typed copy along with contact name and phone number so we may thank you.